Just Listed :: Gorgeous Traditional in Popular Peachtree Corners Swim/Tennis! Welcome Home! 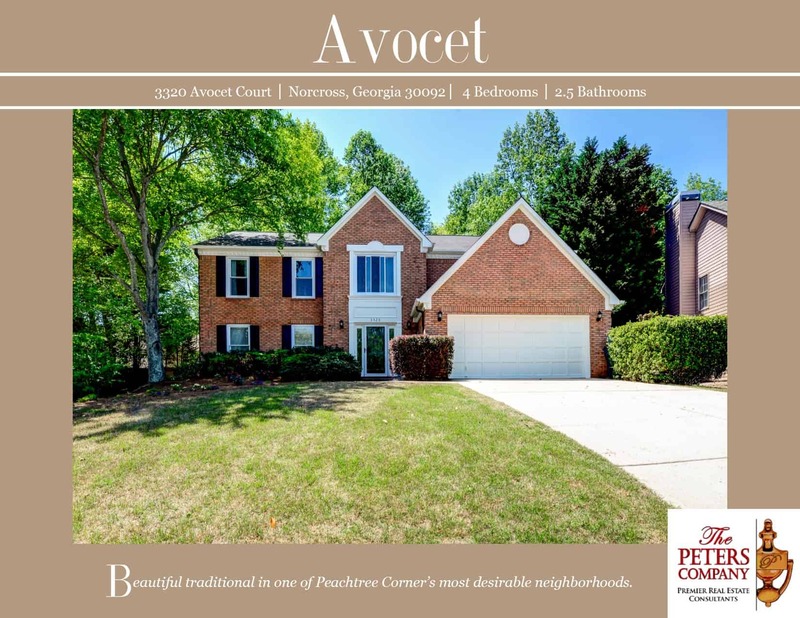 Located in one of Peachtree Corner’s most popular swim/tennis neighborhoods, Avocet, this home is just what you’ve been looking for. The custom features and charming character will never go out of style. The close proximity to Peachtree Industrial Boulevard, Peachtree Parkway, and I-85 makes it convenient to and from any direction. You will love being close to many nearby restaurants and shopping spots including The Forum and Historic Downtown Norcross! · Kitchen features stainless steel appliances, granite counters, pantry, breakfast bar, and breakfast area with bay window. · Formal living room and separate dining room are perfect for entertaining! · Spacious family room has a cozy gas starter fireplace and built-in bookcases. · Master suite is a true retreat including vaulted ceiling, walk-in closet, and updated bath with double vanity, jetted tub, and separate shower. · Garage easily fits two vehicles with extra storage space. · Wonderful outdoor space includes a large patio overlooking the level backyard with fire pit. · Convenient location close to restaurants and shopping. ← Congratulations to The Peters Company February Homebuyers!